Hey Jammers! There's a new Falling Phantoms IN-DEN game! Cool! 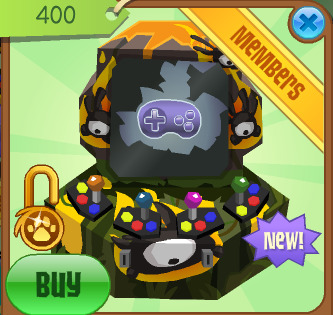 Now you can play falling phantoms in your den! Here's a lesson everybody should learn on AJ: Never lend stuff. My friend was recently scammed by Kingfin, who was pretending that they were best buds. Like a lot of AJ buddies, he asked to borrow stuff. He asked for Bugattiveyronss2012 (my buddy)'s tall cactus. Bugattiveyronss2012 said ok. Kingfin wanted to try it in his den. Bugattiveyronss2012 wanted it back. Kingfin refused. 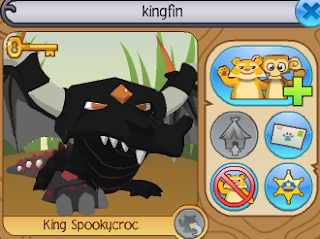 Kingfin wanted to try to glitch it. After doing so, he refused to give it back. I'm just saying I don't want anyone to fall for this.